S 500 x 447px 0.5 Mb. M 1000 x 894px 2 Mb. L 2000 x 1788px 8 Mb. XL 5217 x 4663px 15 Mb. 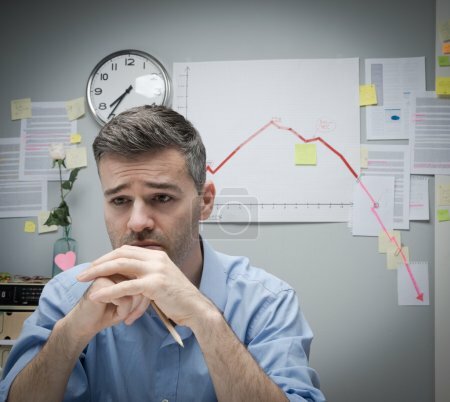 Pensive businessman at work with negative financial chart on background.